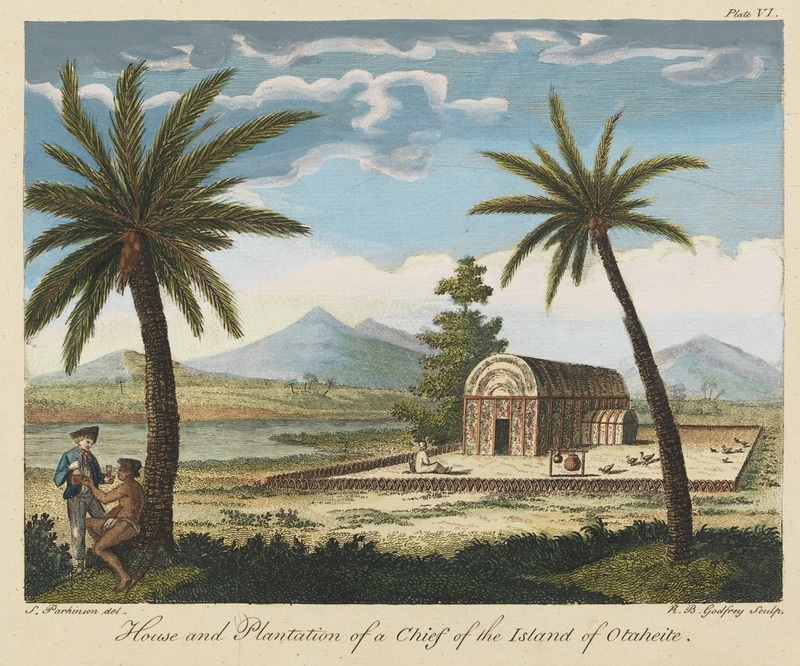 "House and Plantation of a chief of the Island of Otaheite," drawn in 1769 by Sydney Parkinson, engraved in 1773 for A Journal of a Voyage to the South Seas, in His Majesty's Ship, the Endeavour by R. B. Godfrey, National Library of Australia. 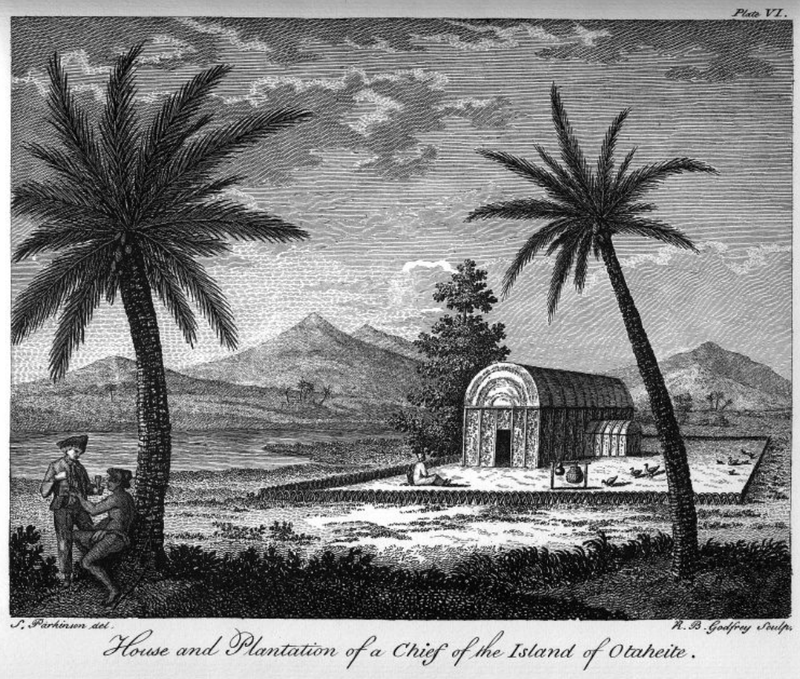 "House and Plantation of a chief of the Island of Otaheite," drawn in 1769 by Sydney Parkinson, engraved in 1773 for A Journal of a Voyage to the South Seas, in His Majesty's Ship, the Endeavour by R. B. Godfrey, State Library of New South Wales. A quick shout out to The 18th Century Material Culture Resource Center. It was through the recent slideshow on Captain James Cook and his first exploration expedition that I stumbled across this image. Be sure to swing by there for a lot more. 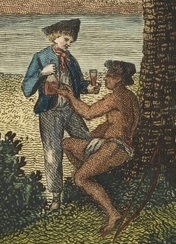 Holding a bottle to his chest and a glass in his hand, a sailor converses with a Tahitian man who reclines against a palm tree. They are remarkably dissimilar in appearance: the sailor in his slop clothes and the Tahitian in his cloth. The sailor wears a blue short jacket that is not illustrated with buttons, pockets, or distinct cuffs. His black cocked hat is pointed forward and sits back a bit on his short blond hair. Our mariner is without a waistcoat, but wears a plain red neckcloth over his shirt. Jack's plain white trousers end about the bottom of the calf, revealing white stockings.